“No man should have to endure daily pain to earn a living”! Why did I become a chiropractor? It was more of a case of going into health care. While at University I was an athletic trainer. I enjoyed this and so set my sights on either a career in physical therapy or sports medicine. There was one drawback in this career choice: I didn’t like drugs. I had not taken any medications since I was 11. My mother said, “How can you go into medicine if you are telling people not to take drugs?” Any thought of Chiropractic at all during this time was only in a negative way based on my ignorance of the discipline. Then, I was in an accident just before the tryouts for the Canada Games Team. I was injured so bad that just getting out of bed took hours due to severe neck pain and caused me to miss an entire day of competition. I didn’t seem to be getting much better after the accident. So, out of desperation, I went to my mom’s Chiropractor. He adjusted me and you know what? I felt the best I had felt in years. Then I noticed that my athletic performance began to also improve. I was soon convinced of the efficacy of this type of treatment and switched my studies to Chiropractic. I also have another advantage with my many years of athletic competition. No matter what symptom a patient walks in the door with, I probably have had that injury! It makes it easy to empathize with the patient. And knowing how well these injuries respond to Chiropractic care. So, what happened to sports medicine? Well, while I was in school I came to the realization that taking care of athletes, and taking care of anyone else…it was the same. I want to do best to help everyone get better, and chiropractic is important, especially for the young…for the kids. I’ve taken care of professional athletes from the NFL, NBA, NHL and PGA but I also have taken care of children as old as only a few hours old to a young gentleman that was 98 years old. Now, here I am today, helping so many people with a form of healthcare that is non-invasive and drug-free. I am where I should be! Dr. Karm Virk is truly a man of the world. He was raised in Canada, and trained in the United States and Canada. 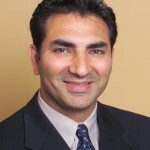 A graduate of Logan Chiropractic College in St. Louis, Dr. Virk has served as President of the International Chiropractic Fraternity; was Chiropractic College Student Body President; was recognized, in 1996, as Vancouver College Athlete of the Year; and studied Kinesiology (Sports Medicine) at Simon Fraser University in British Columbia. Dr. Virk, father of three lovely and healthy children, is a member of the Doctors Speakers Bureau, donating time to educational workshops and lectures dedicated to improving and maintaining good health in the community. At Southcenter Chiropractic he not only specializes in Auto Injury care but takes a special interest in Pediatric and expectant mother care.